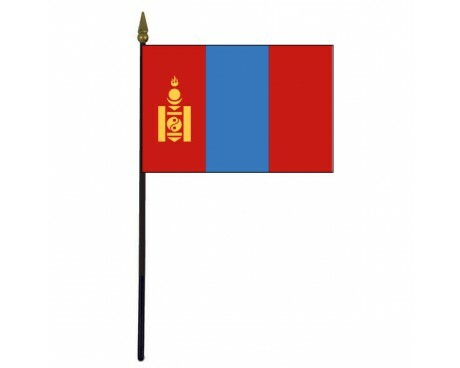 Mongolia Stick Flag - 4x6"
The legacy of the Mongolia flag stretches back for approximately one century. The flag has experienced several changes since it was first adopted, but those changes were so gradual that the modern flag can still be recognized as the heir to the original design. 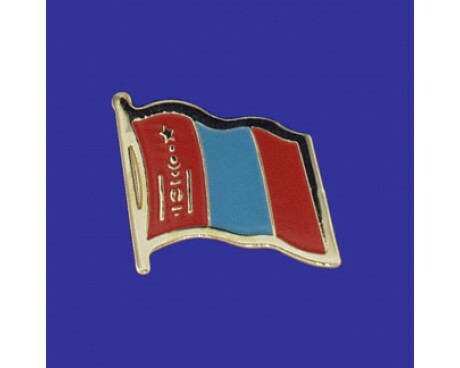 Even the nation's transition to a communist government and then back to a democratic state brought about only minor changes to the design of the flag of Mongolia. 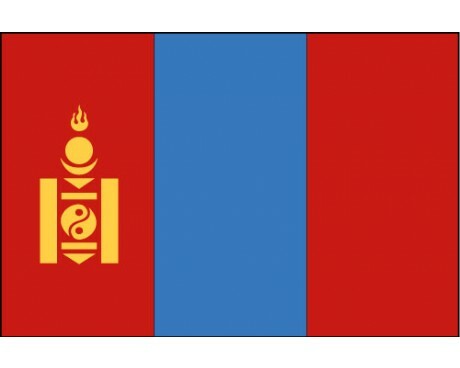 The flag of Mongolia is made up of three rectangles that alternate between dark red and blue. 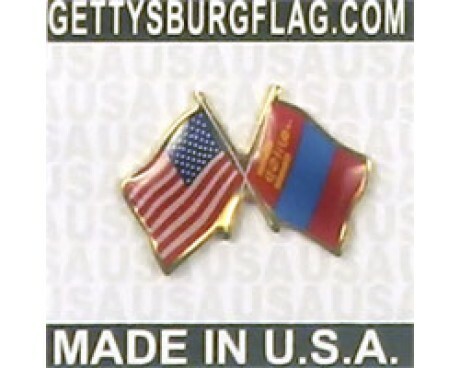 The section along the flag's hoist includes a golden representation of the Soyombo symbol, a complicated emblem that has long served as a symbol of the Mongolian people and their nation. The red sections of the flag serve as symbols of the Mongolian ability to survive and thrive in spite of their nation's harsh natural environment, while the blue portion of the flag represents the blue sky and serves as a link to the nation's traditional religious customs. The first Mongolia flag came into use in 1911 when it was adopted by the Bogd Khanate, a government that had recently broken away from China. It featured the Soyombo symbol on a solid red field that was surrounded by a gold border. The Khanate's flag fell out of use when it lost power in 1919, and the government adopted a different flag when it returned to power in 1921. The new flag featured a golden circle and crescent emblem in the canton of a red flag, which makes it the only design that does not display the Soyombo symbol. The Mongolian People's Republic formed shortly after that point, and its formation brought a new flag to Mongolia. The new flag was adopted in 1924. It used a blue Soyombo symbol in the center of a red field. That flag was used until 1940, at which point it was replaced with the precursor to the modern design. The flag of 1940 was identical to the modern flag except that it had a gold star above the Soyombo symbol. The star was removed from the flag when the nation of Mongolia transitioned to a democratic government, which created the modern flag of Mongolia in 1992.